Members from the North Central Chapter of the Arkansas PBA will be hosting a fundraiser at two area Wal-Mart stores. The PBF and the ARPBA has teamed up with the Conway Wal-Mart stores located at 3900 Dave Ward Drive and 1155 U.S. 65 and will be collecting donations for the family of Deputy Fifer from 8:00am to 8:00pm on Monday, April 22, 2013. The Arkansas PBA, the Police Benevolent Foundation, Clarksville Police Department and friends are hosting a benefit chicken/fish dinner and silent auction for the family of Larry Johnson on Friday April 12, 2013 at the Johnson County Fair Building from 4pm to 8pm. The Police Benevolent Foundation, Inc. and the Arkansas Division of the Southern States PBA are in mourning for one of their own and rallying behind the family of Faulkner County Sheriff's Deputy Hans Fifer. Deputy Fifer suffered a fatal heart attack after completing a SWAT training program. The Police Benevolent Foundation, Inc. and the Arkansas Division of the Southern States PBA are in mourning for one of their own and rallying behind the family of Fifth Judicial District Drug Task Force Director Larry Johnson. Director Johnson suffered a fatal heart attack while involved in a foot pursuit with a parolee in Clarksville, Arkansas. Director Larry Johnson was a true hero and will be missed by all that knew him. HB 1971 Update - We need your voice! HB1971 would establish protection (privileged communication) for certified peer counselors and the person seeking counseling. Here is a link to the Bill if your want to learn more. If passed it would be at this point the strongest peer counseling protection law in the nation. This is a list of all of the endorsed candidates that the ARPBA has endorsed in 2012. We would like to congratulate each of these candidates on their endorsements and we hope to work with them into the future to help make the law enforcement profession better for our members. Please show your support for these candidates at the polls. The Ouachita Chapter of the Arkansas Police Benevolent Association recently held a series of candidate screenings for those candidates seeking election for various elected offices. During the interview process State Representative Tracy Pennartz demonstrated why her experiences and values make her uniquely qualified to represent the voters of district 9. 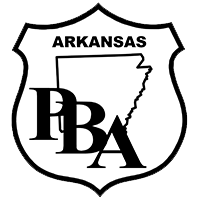 In September 2012, the Arkansas PBA hosted our Behind the Badge Seminar in two locations. Our speakers have long and distinguished careers in law enforcement. ARPBA gives Pine Bluff chief vote of "no confidence"
PINE BLUFF, AR - A police advocacy group (ARPBA) representing more than half of the Pine Bluff Police Department has given Chief Brenda Davis-Jones a vote of "no confidence." This is a list of all of the winning candidates that the ARPBA endorsed in 2010. We would like to congratulate each of these candidates and we hope to work with them into the future to help make the law enforcement profession better for our members.